Towns and cities developed at the same rate as agriculture and continued to grow in step with the expansion of farmed land. Farm fields were initially located on the edge of towns, but a few centuries ago were subsequently swallowed up by the urban landscape, and it was not uncommon to find a farm field on a street corner. However, when the industrial revolution arrived, urban agriculture became an obstacle to town development due to its externalities and the space it occupied. As it had become obsolete in view of modern distribution and retail channels, it ended up being pushed out of the city limits. 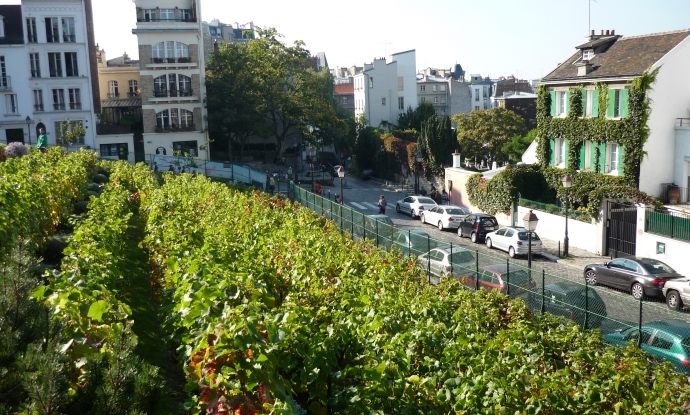 Today, with our economic and ecological models being brought into question, urban agriculture is making a comeback in cities all over France and the western world. Urban agriculture was first reintroduced in response to demand from city dwellers by the many associations wishing to bring green life back into the town to fulfil social and environmental missions, but also to allow residents to meet up in crowd-tended gardens and allotments. It was not long before economic objectives appeared and became the ideal target for innovative start-ups which emerged in number, aiming to plant their crops wherever space was available. From this variety of structures emerged a wide diversity of high added value crop production (herbs, traditional varieties of fruit and vegetables, mushrooms, etc.) allowing these enterprises to make their operations viable. But France is quite a late arrival on the urban agriculture scene: in some countries, it provides for a significant proportion of food requirements. An estimated 70 million hectares in the world are cultivated by nearly 800 million urban farmers. Far from being an isolated phenomenon, urban agriculture is therefore an important economic sector which is continuing to expand at a time when more than half of humankind lives in cities, and which could offer significant opportunities for agriculture.